The festival of the lights Diwali brought several celebrities together under one roof. As the tradition goes, the Bachchans threw a huge bash for Diwali and many celebrities made it a point to visit their residence. The star-studded party was attended by Saif Ali Khan’s kids Sara and Ibrahim. Although Saif and Kareena Kapoor Khan gave the party a miss, his kids made sure to have a great time. 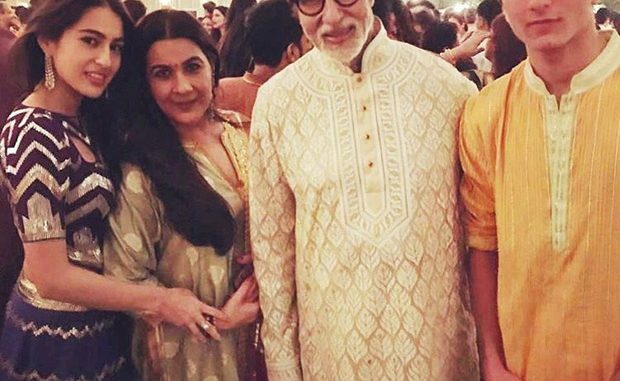 Amrita Singh also attended the party as they all bonded with the host Amitabh Bachchan. They posed for a photo together and it seemed like the party was a hit.